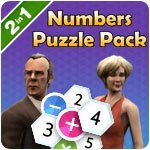 Numbers Puzzle Pack Game - Download and Play Free Version! Get two action-packed puzzle games based on numbers in this bundle! 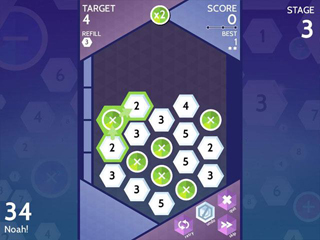 Play Sudoku and Match-3 puzzles with a twist! In Sudoku Ball? - Detective, you take the role of a detective in a small town where a murder has been committed. 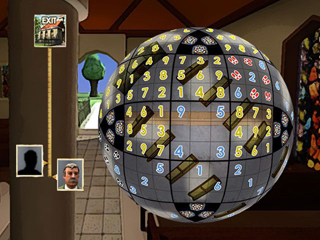 It is up to you to find the murderer by completing different styles of Sudoku Ball puzzles. The puzzles represent separate stages of the investigation, like searching for clues, picking locks, investigating evidence in the lab, and chasing your suspect! Sudoku Ball? - Detective is inspired by the popular Cluedo game as well as English detective stories surrounding Sherlock Holmes, Agatha Christie and Midsomer Murders. On top of the storyline, players can compare their scores in the numerous extra puzzles in different gameplay modes. The easy controls ensure players can concentrate on the puzzles as they delve deeper into the mystery!